John Marshall became chief justice of the United States on this date in 1801. Marshall would sit on the high court until 1835, and his opinions laid the basis for American constitutional law and made the US Supreme Court a co-equal branch of government, along with the legislative and executive branches. But what of Marshall’s predecessors? The best known of the three men to lead the Supreme Court before Marshall was John Jay, who, among other things, helped write the Federalist Papers with Alexander Hamilton and James Madison. 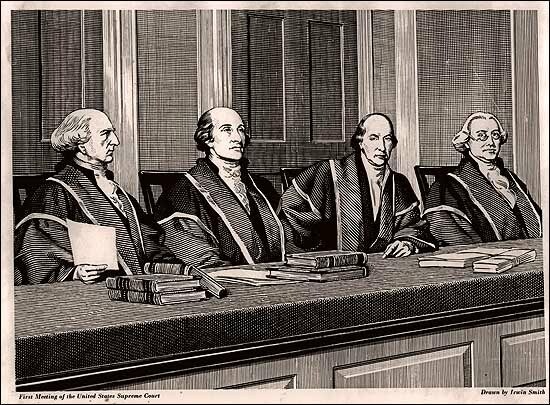 During Jay’s nearly six years as chief justice (1789-1795), the high court ruled on just four cases, rather remarkable considering today the court receives petitions to hear some 7,000 cases annually. Jay resigned as chief justice in June 1795 after being elected governor of New York. President George Washington named John Rutledge of South Carolina, an original high court associate justice who had resigned in 1791 to become chief justice of the South Carolina Court of Common Pleas and Sessions, to replace Jay. Washington’s appointment took effect immediately as the US Senate was not in session. However, Rutledge’s time on the court proved one of the shortest in the history of the nation. He was a vocal opponent to the Jay Treaty of 1794, which resolved issues remaining from the Revolutionary War but left many Americans unhappy. His opposition cost him support in the administration and the senate. In addition, questions about his mental stability, driven at least partly by partisanship, were making the rounds. At one point last week, the African nation of Zimbabwe had just $217 left in its public coffers. Welcome to the club, guys; I feel your pain. 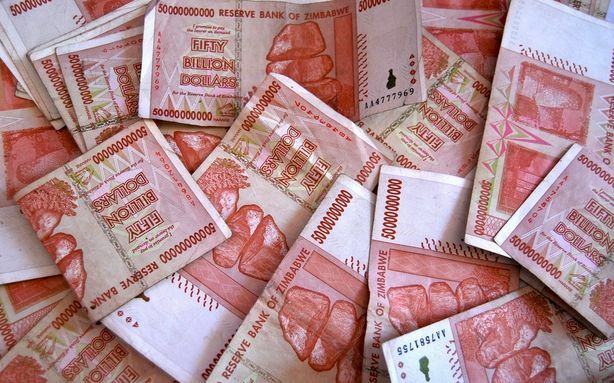 Zimbabwe’s Finance Minister Tendai Biti admitted that Tuesday when he said his nation had all but depleted its financial reserves after paying civil servants last Thursday. By the following day, though, some $30 million of revenue had flowed in the country’s accounts, he told journalists in the capital city of Harare. Biti has been struggling to balance the nation’s budget, which is hampered by a low tax base, an underperforming economy and public sector wages which take up 73 percent of the total budget, according to the publication New Zimbabwe (look for it at your newsstand). “We’re in a challenging position, we’re a small economy and we’ve got huge things to be done …” Biti told the BBC. Talk about an atypical missing pet story. 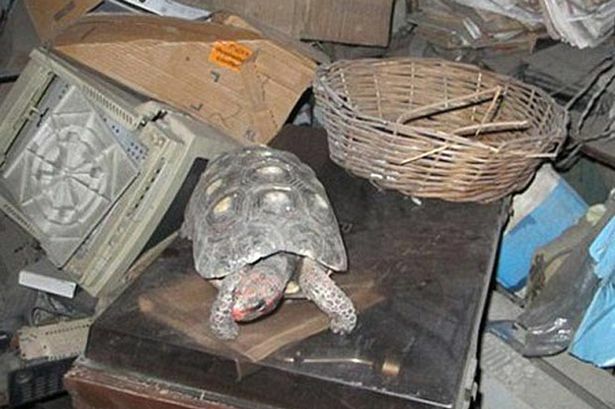 Media outlets are reporting that a family in Rio de Janeiro last week found their pet tortoise in a store room in their house – more than 30 years after it went missing. The red-footed tortoise, named Manuela, disappeared in 1982 and despite a lengthy search could not be found. Her owners, the Almeida family, figured she had crawled off after builders working on the house left the front door open, according to The Telegraph. But when the family patriarch, Leonel, died earlier this month, the Almeida children began clearing out a second-floor room in the house, an area he had filled with broken electrical items and always kept locked. Leonel’s son Leandro found Manuela alive inside a box containing an old record player. “I put the box on the pavement for the rubbish men to collect, and a neighbor said, ‘you’re not throwing out the tortoise as well are you?’” Leandro Almeida told Brazil’s Globo G1 website. Islam’s reputation for hostility to science is a modern phenomenon. As has been well documented, the Muslim world was a dynamo for scientific development during the time Europe was ensnared in darkness and superstition. 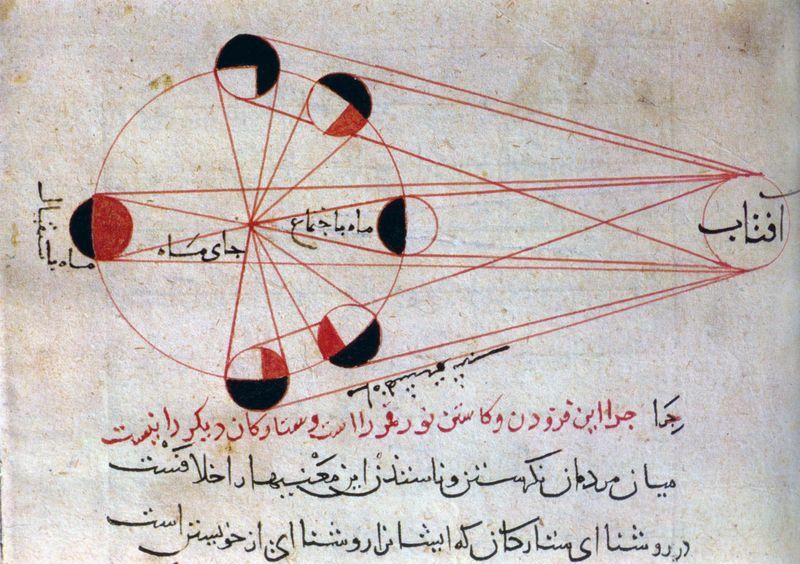 How advanced was Islam’s scientific community? Extremely advanced, according to Physics Today. Abu Raihan al-Biruni calculated the earth’s circumference to within a single percent and has also been called the first anthropologist. In addition, Muslim scholars did much to preserve the intellectual heritage of ancient Greece; centuries later it helped spark Europe’s scientific revolution. Unfortunately, this period of great development came to a screeching halt long ago. Hydrophobia: when will the madness end? Don’t let it be said that this blog doesn’t care about you, the reader. 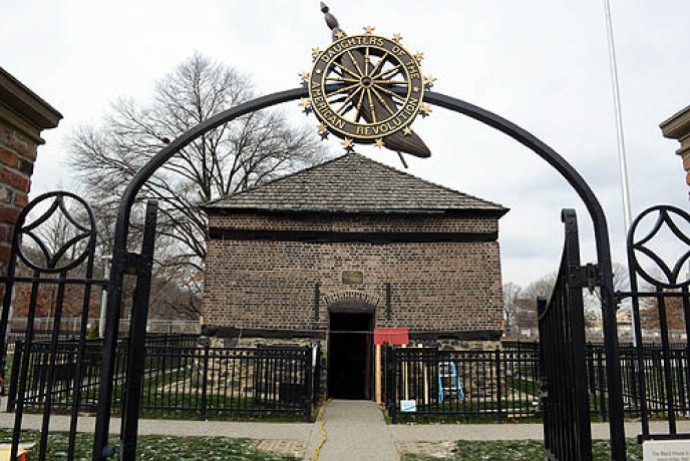 Preservation efforts began Wednesday on Pittsburgh’s oldest-known building and the oldest authenticated structure west of the Allegheny Mountains. The Fort Pitt Blockhouse was built in 1764, in the immediate aftermath of the French and Indian War. Much of the stone foundation, bricks and timber in the two-story structure are original, according to the Pittsburgh Post-Gazette. The blockhouse was built to reinforce Fort Pitt, the largest British fortification in North America. The project will take 10 months and is being funded by an anonymous donor and the Colcom Foundation, according to the Fort Pitt Society, which owns the structure. Fort Pitt was completed in 1761, amid the lengthy French and Indian War, a good bit of which took place in the Ohio Valley. During Pontiac’s Rebellion in 1763, a weakness in the fort became apparent when British forces noted that the structure’s design impeded efforts to repel snipers. In response, Col. Henry Bouquet constructed several redoubts, or blockhouses, for sharpshooters in 1764. The structure being renovated is the lone surviving remnant of Fort Pitt. A key aspect of readying the Fort Pitt Blockhouse for its 250th anniversary is inspecting its timbers. Face value, the small copper coin that went under the auctioneer’s hammer Tuesday represented the smallest denomination of currency the United States ever produced – just half a cent. But in one of the more astonishing bits of numismatic lore, the 1796 Liberty Cap half cent sold for nearly $300,000 – nearly $360,000 with auctioneer’s premium – meaning the coin increased in value 71,600,000-fold over the 210-plus years since it was minted in Philadelphia during George Washington’s presidency. The rare half cent, sold at a small provincial auction in southwest England, went to an American bidder from the Numismatic Financial Corp. of Winter Springs, Fla., according to CBS News. The final price, perhaps not surprisingly, is one of the highest ever paid for a half cent. The coin bears a liberty head design on one side, with a pole and liberty cap in the background. The reverse features an open wreath of olive stems tied with a ribbon. Half cents were minted by the US from 1793 until 1857. The story of the coin sold Tuesday is both fascinating and perplexing.